I passed a quiet weekend with my writing. 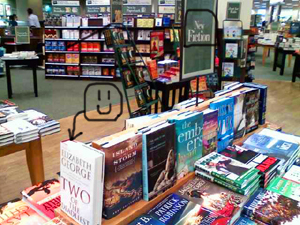 This morning, it occured to me that I experienced my writer’s life from three distinct vantage points. 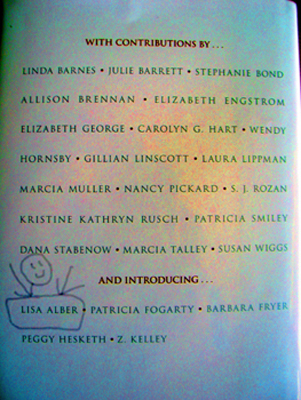 As Lisa the Writer, I, as you might expect, wrote. In fact, on Saturday I officially finished Act I of the new novel. I call it a step in the right direction that I wrote toward the first dramatic point, instead of winging my way toward it. As Lisa the Author, I received a sweet surprise from my book group. 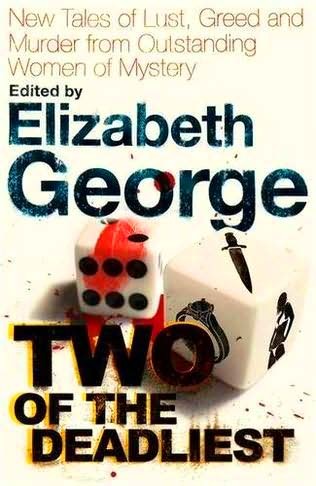 After discussing Sue Milller’s The Senator’s Wife, my friends thrilled me to pieces by pulling out the Elizabeth George anthology that contains one of my short stories. 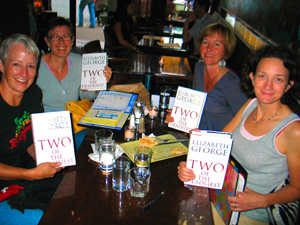 They’d bought copies and insisted I autograph them–oh my! I was tickled to pieces, and, of course, froze up at the thought of signing the books. What was I supposed to write? As Lisa the Student, I began a 10-week writing workshop. A writing buddy happened to mention the class, and within five minutes I railroaded him into emailng the instructor for the both of us (since we were at a coffeehouse and he had his Mac). We nabbed the last two spots. The author, April Henry, is a NYT bestseller who writes thrillers; and the class focuses on suspense, mystery, thriller, crime; and since I need to amp up my plotting and pacing skills; and since I’m starting something new…Serendipity! This morning a dear friend called me. She was concerned because yesterday I’d e-mailed her in angry, ventful fashion. I’m fine today — well, not fine, but okay, rallying, that kind of thing — but yesterday I was bummed out but forced to set the emotions aside because of j.o.b. deadlines. This post isn’t actually about the rejection I received. This post is about how funny life is sometimes. That’s it. 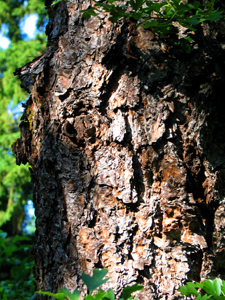 I had no clue what she was referring to, except I noticed the Iroquois quote at the bottom of the message, and having never noticed this quote before, or maybe having noticed but forgotten it so that it was new all over again, I thought she was making a point about the bark of a pine and being a writer. Seemed logical to me, given my mood. And apt, the thick-skinned thing, of which I need to grow me some, and what with the perfect timing of the message, reading it right after the rejection…You can see why I replied back in a verbal purge. I was so preoccupied, I’d forgotten to fetch the mail! And indeed, the check awaited me. Yesterday, receiving the check might have balanced out my mood. Receiving the check today, I laughed. 9:00 a.m. here, Friday, Halloween…I should be revising the novel, but I can’t concentrate yet. I’m about to start crying over this darned election. I can’t take the suspense of not knowing the outcome anymore! I want it to be done! As much as I want to hope, pessimism leaches into my thoughts. Pessimism because the Republicans are better at shenanigans than the Dems. What’s going to happen in Florida this time around, eh? And the poor, why is it the poor always seem to vote for the party that doesn’t give a crap about them? Why is there so much ignorance? Actually, “getting scared” isn’t quite right. I’ve been worried for awhile, but it’s hitting me now. But of course there’s hope, there is. The popular groundswell is amazing, isn’t it? And if my diehard Republican brother-in-law is voting for Obama, doesn’t that mean millions more like him might be doing the same? But what about the millions of closet racists? We know they’re out there. We know they’re nice people who would NEVER say a word about race but that will never vote for a black man either. Why can’t people think LOGICALLY for God’s sake? Uhm, when was the last time we enjoyed a surplus, great economy, and global respect…uhm, wouldn’t that be under the Democrats? LOGIC LOGIC LOGIC…Now I’m just getting mad. So I’m going to send you off to three websites. 1. 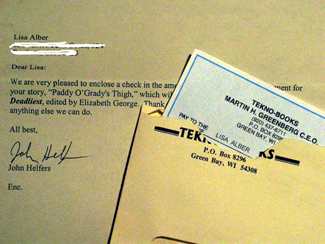 I’ve been receiving position papers from novelist Elizabeth George. She’s a smart cookie, and she’s done her research, believe me. AND, I admire that she decided to publish these papers on her official author’s website. Please, if you’re still undecided, check her papers out. Read the last paper for an overview (hopefully it’s posted now). She includes some very interesting statistics. 2. My friend Wendy is political, smart, and funny, and I like this post — which, in fact, got me thinking about the logic-factor. Her post about game-show Palin is spot on also. 3. Then this blog, which brought a welcome smile to my face. Two 80-year-olds saying exactly what it is they believe. I want to be that feisty when I’m 80!! As these two say: If you’re still undecided, you haven’t been paying attention. On a personal level, I fear what might become of me should things not change. I’ve already had two freelance jobs postpone themselves into the indefinite future because of the economy…I wish I had some comfort food in the house…Why the heck didn’t I buy Halloween candy this year?!?!?!? My last post yielded more thoughts…Here’s my version of a quickie post because I’m digging the idea of a nap about now (didn’t sleep well last night). The debate between just-writing versus outlining-first is a funny one. Many novelists advocate one method over the other. (I’m a ‘tweener, a mix of both.) I get the sense that “commercial” novelists tend to outline and “literary” novelists, not so much. I don’t advocate outlining over letting the words flow (or vice versa). I’m uncomfortable with rules that seem to associate themselves with labels such as “commercial” and “literary.” However, I’ll always recommend character analysis to anyone seeking my opinion on the matter. Character analyses are good for everyone! Even, I maintain, for novelists who don’t care much about character development. I propose that knowing your characters backwards and forwards before you start writing can help you pinpoint your story, generate plot ideas, and keep your characters real. Knowing my characters means I know what they wouldn’t do, which is as important in my writing world as knowing what they would do. Characters ought to act in accordance with their worldviews, personalities, backgrounds and so on. Knowing all that stuff automatically helps me discipline away those oh-so-brilliant (but actually wayward) daydreams for the story. 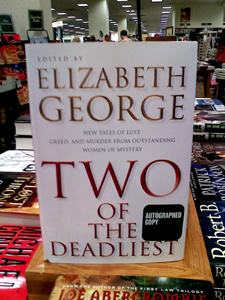 For character development and analyses, check out Elizabeth George’s Write Away. I found her discussion illuminating. Look what I received today! For the first time in my fictioneering life, I received dollars for my writing! I’m thrilled because this is a step in the right direction. But still! I’m smiley-faced today. Addendum, 8-Apr-08: Taxes done, and the money I received is all mine, after all! Woo-hoo! This morning — resolute and annoyed — I stepped over drifts of shredded toilet paper and into my office. I would not let the mess distract me from my writing duties. 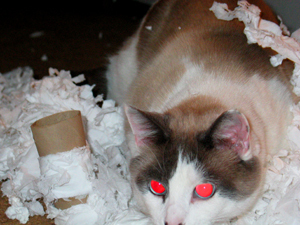 I could clean the mess any old time; let it sit for awhile; let the devil cat from toilet paper hell have yet more fun with his kill if he desired. I caught him in act last night. He woke me up. Yes, I laughed. But this morning, giggles were beside the point. I mustn’t, I told myself, clean and vacuum; not yet. 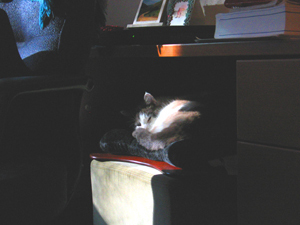 I could feel the procrastination mistress within, ever distractible she is, perking up at the thought of not turning on my laptop, not starting chapter 19, not settling into anything except the next chore or trip to the fridge. …I suit up and show up. I sit down at the computer and I do the work, moving it forward a sentence at a time, which is ultimately the only way there is to write a book. As of this moment (4:00 p.m.) the toilet paper is still adrift in the hallway. Amazing how big it gets when off the roll and shredded to bits. It’s the popcorn effect. But that’s okay, because I wrote my pages.